There was a comic and telling moment at the launch of Russia's new Aurus brand for upscale cars at the Moscow auto show in August. Having been introduced on stage as someone who "played a significant role" in the development of Russia's new flagship automaker, industry and trade minister Denis Manturov chided the company's CEO to push forward the development of the SUV, one of a family of four cars planned. "I insist the prototype of the SUV should appear at the beginning of next year. This is my instruction to you. Say yes," Manturov told Aurus CEO Gerhard Hilgert. "That’s your clear instruction? What choice do I have?" Hilgert, a former Daimler executive, replied. 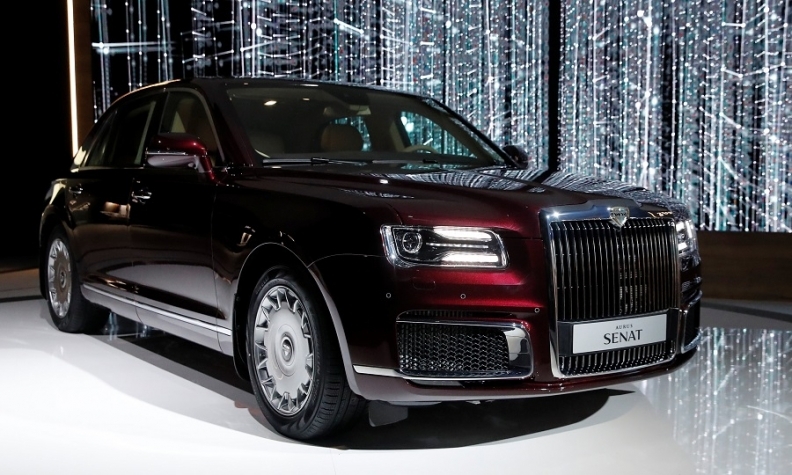 The exchange was a joke, but it also revealed how close the Russian state is to the development of Aurus, which aspires to rival Bentley and Rolls-Royce not just in Russia but in Europe and the rest of the world. Aurus is 75 percent owned by NAMI, a state-sponsored research institute, (the rest is owned by local automotive conglomerate Sollers). 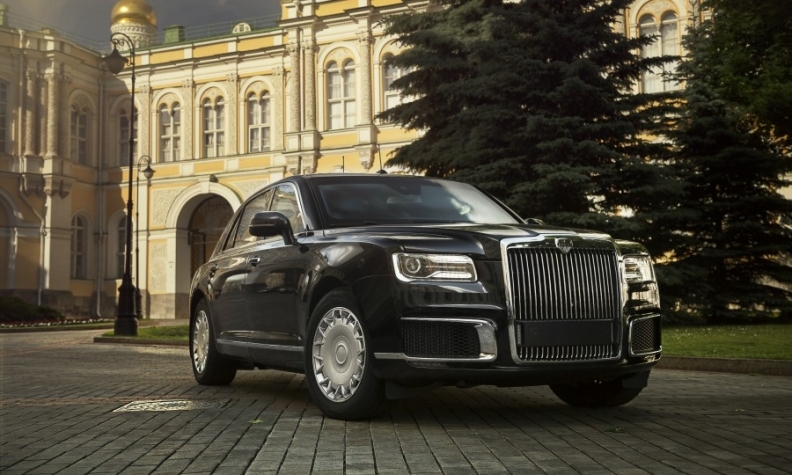 The aim of Aurus is to promote Russia's automotive excellence. The big reveal of the automaker's stretched (and armored) Senat limousine came in May when President Vladimir Putin used it to travel to his inauguration. The inclusion of the Senat in the Kremlin's so-called "Garage of Special Purpose," the government fleet of VIP cars that in Soviet times included the iconic ZiL limousines, was a clear indication that Aurus cars were of the highest quality, Hilgert claimed at the launch. "The special purpose garage always uses the best vehicles. Aurus will have a firm position in this club of legendary cars," he said. The Senat is intended to become the heir to the Russian-made ZIL sedans that transported Soviet leaders. The shorter wheelbase Aurus Senat sedan will go on sale early next year, followed by the Komandant SUV and the Arsenal minivan. All models are based on the same modular platform. Initial production for the brand will be about 150 vehicles a year, but will ramp up to 5,000 annually once production switches to a Sollers facility in 2021. The aim is to reach 10,000 vehicles a year in the long term, Hilgert said at the Moscow show. Aurus will display cars at the Geneva show in March ahead of starting European sales soon after. Market launches will follow in China, Southeast Asia, the Middle East, Africa, South America and South Korea. The U.S. is tougher because of homologation rules, but starting sales there is a long-range goal for Aurus, Hilgert said. Experts are skeptical that Aurus will succeed. "Outside of Russia, I can't see anyone buying this vehicle," Tim Urquhart, principal analyst for IHS Markit, told Automotive News Europe. Even in Russia the brand will be limited to government ministers and those oligarchs looking to win favor with the Kremlin. "But I can't imagine many of them swapping their Teslas, [Rolls-Royce] Phantoms and [Mercedes] Maybachs for this," Urquhart said. This story is from Automotive News Europe's latest monthly magazine, which will also available to read on our iPhone and iPad apps.You will be able to download the new issue as well as past issues by clicking here. 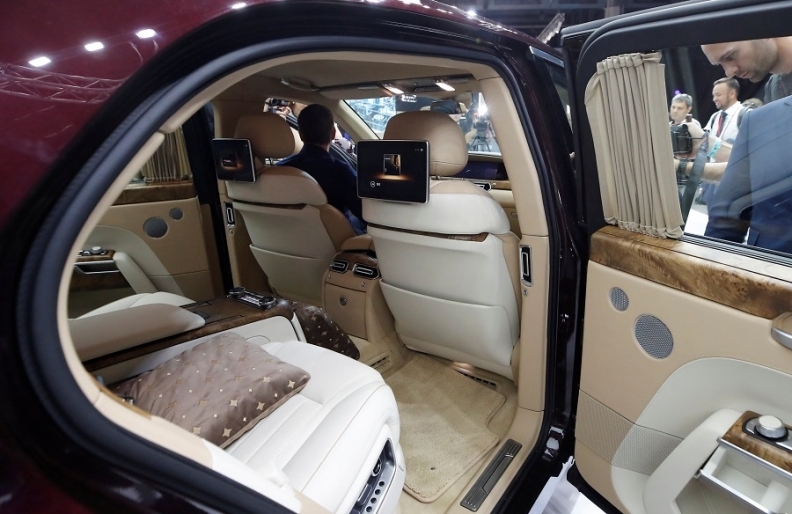 An interior view of the Aurus Senat. The Senat has an impressive spec sheet that promised 598 hp from its 4.4-liter V-8 gasoline-electric hybrid engine as well as all-wheel drive, digital dials, adaptive cruise control and armor options. But a personal inspection of the Senat showed that it does not match even mid-range premium cars on quality, specifically its electric window controls and other switches, wood veneering and panel alignment. During Soviet times, ZiLs had no competition. Aurus does not have that luxury. It will battle the toughest opposition in the world. "The ultra-premium market is dominated by long-established players and they do it really well," Urquhart said. “I can't see any commercial rationale for what Aurus is doing. It's a bit crackers really."